After a busy festive and party season in December, no matter if you’re a drinker or not, if you’ve pledged to do Dry January, or just want a week off of alcohol, we might all benefit from a tasty non-alcoholic drink every once in a while. We’ve selected seven of our favourite mocktails to brighten your month and leave you hangover-free! Fill your Mugs 3/4s of the way with Ice. In this order; Add Cranberry Juice, Lime Juice, and Gingerale. 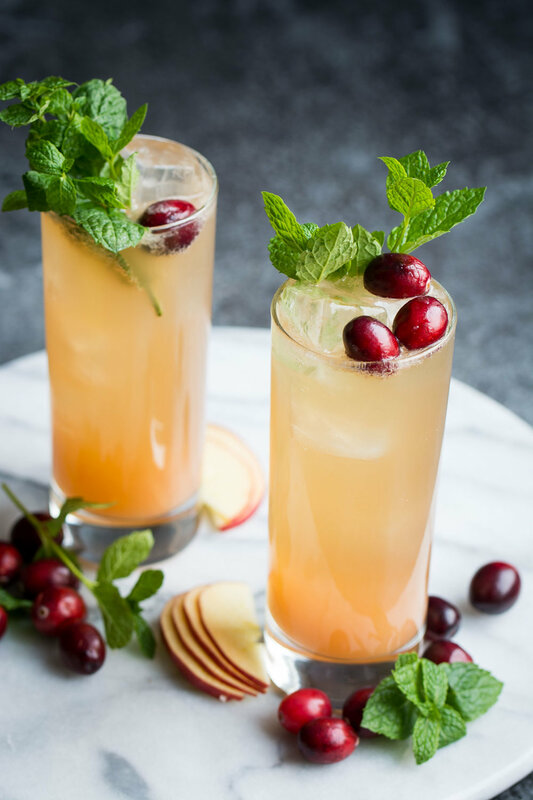 Garnish with cranberries and lime. Combine the sugar, lime zest and water in a medium saucepan over medium heat. Bring to a simmer, stirring constantly, until the sugar is dissolved. Remove from the heat and stir in the mint leaves. Let sit for 30 minutes. Add watermelon, coconut water and simple syrup (start with ¼ cup) to a blender and process until very smooth and frothy, about 30 seconds. Taste for spice and add more syrup, if necessary. Serve immediately over ice with a squeeze of lime and a stripey straw. Or, cover and chill for up to a day, stirring before serving. Enjoy! Fill a tall glass with ice cubes, and fill 1/3 full with grapefruit juice. Top up the remaining 2/3 with ginger ale, then add some cranberries and mint leaves for garnish if you like!